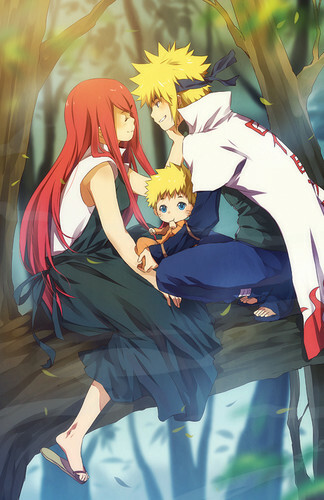 Namikaze family. ~. . HD Wallpaper and background images in the 波风水门 club tagged: minato namikaze naruto kushina. This 波风水门 photo might contain 标志, 海报, 文字, 黑板, 文本, 密歇根百合, 百合michiganense, 密歇根州百合, and 百合 michiganense.